LESS THAT FIVE MINUTES TO BARRACKS ROAD SHOPPING . TRADITIONAL HOME, REMODELED WITH MANY UPGRADES INCLUDING KITCHEN, SCREENED PORCH RENOVATED INTO LARGE, ATTRACTIVE SUNROOM. THIS HOME HAS THREE BEDROOMS AND TWO BATHS ON MAIN LEVEL, PLUS A WALK-OUT TERRACE LEVEL WITH A FOURTH BEDROOM, FULL BATH, LARGE FAMILY ROOM WITH RAISED HEARTH FIREPLACE AND LARGE UTILITY ROOM, PLUS ATTACHED 2 CAR GARAGE AND WORKSHOP AREA. ON MAIN LEVEL ARE HARDWOOD FLOORS THROUGHOUT. THERE IS ALSO A FORMAL LIVING ROOM WITH WOOD BURNING FIREPLACE, AND FORMAL DINING ROOM. FULL WALK-UP ATTIC, WITH DORMER WINDOWS, COULD BE FINISHED FOR MORE LIVING SPACE, OR GREAT STORAGE AREA. VERY ATTRACTIVE MOSTLY LEVEL LOT WITH LARGE GARDEN SPACE OR PLAY AREA. QUIET COUNTY LOCATION. Directions: FROM CHARLOTTESVILLE, WEST ON BARRACKS RD. TO RIGHT ON MONTVUE DRIVE, GO TO STOP SIGN, PROCEED STRAIGHT, SECOND HOME ON RIGHT. 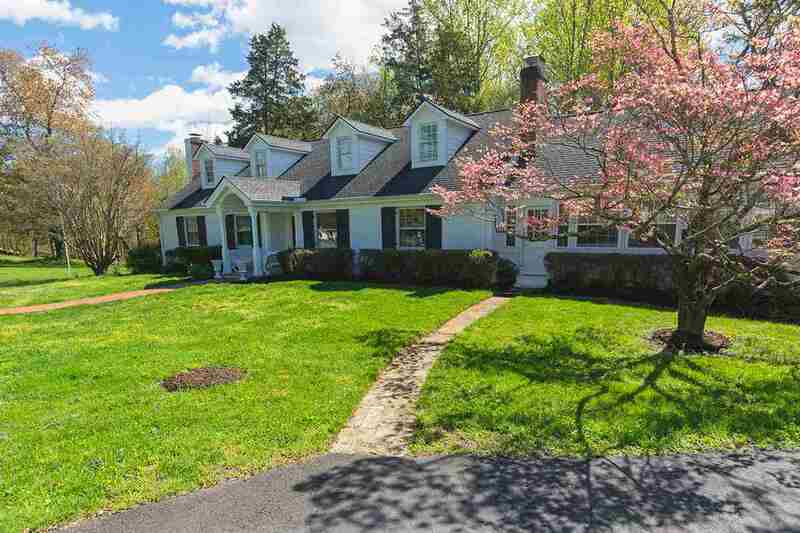 Please, send me more information on this property: MLS# 588993 – $505,000 – 204 Montvue Dr, Charlottesville, VA 22905.